My favorite muse (My Mother) recently had a birthday. I thought I would liven things up for her and make her a retro styled dress. When I was little I used to love seeing my mother sashay around with her big skirts and crinoline slipped dresses. I thought she was the most beautiful lady in the world. Which is why I decided to make something for her that would be as special to her as some of the dresses she made for me when I was a little girl. The pattern that I chose was not really dedicated to the retro style, but I made it work. When my sweet mother's birthday came and she opened the box to find her surprise inside, the look on her face was "PRICELESS". I'm not going to do a review on this dress, but I do want you to see it. 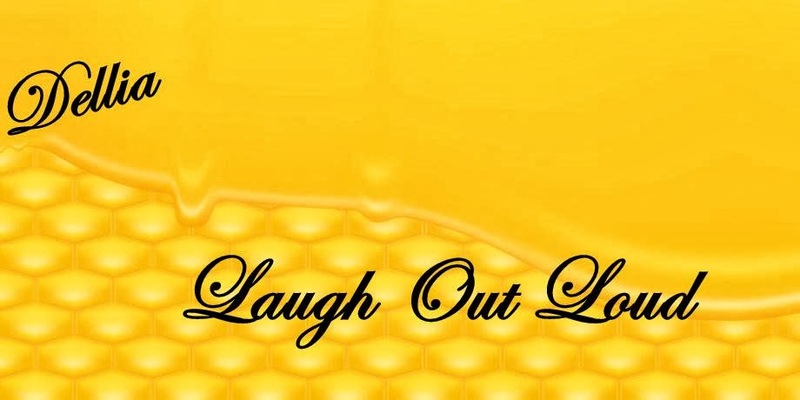 Thank you for stopping by and I hope you enjoy. 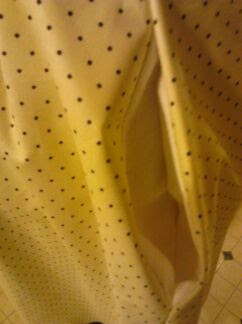 I picked a yellow with black polka dot cotton print by Quilter's Showcase Print from Joann's Here. 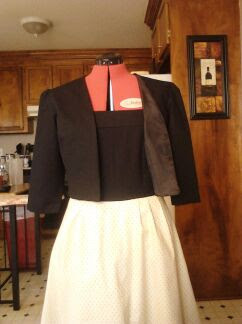 Then I used solid black as the accent to tie the whole vintage look together. 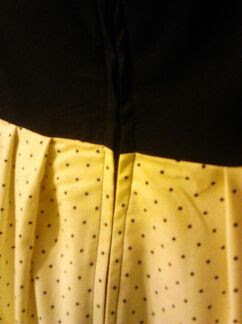 The pattern didn't call for pockets or a jacket, but I wanted the dress to be really cool and retro on the modern side. 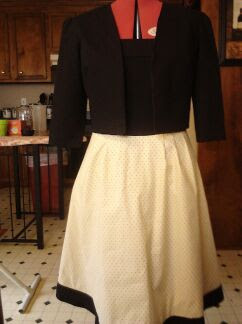 During the construction process, I found it easier to do the bodice first then the skirt and then connect them together. I also lined both the dress and the jacket to give them a more finished look. She really loved it.